Batcave Toy Room - Better Living Through Toy Collecting: Breaking: Tom Hardy Pulls Out Of "Suicide Squad"
Breaking: Tom Hardy Pulls Out Of "Suicide Squad"
Tom Hardy, who previously portrayed Bane in "The Dark Knight Rises," has dropped out of Warner Bros' all star cast of their DC Comics based "Suicide Squad" movie. Per the Hollywood Reporter, Hardy's departure is not immediately clear. However, with Alejandro Gonzalez Inarritu's film "The Revenant" running behind on its shooting schedule, which Hardy is involved, it is the most likely reason Hardy is leaving the project. Hardy would have taken on another DC Comic villain, that of Rick Flag, the leader of the Suicide Squad, in the David Ayer's directed film, which the director describes as the "Dirty Dozen' with super villains." With Hardy exiting the project, that still leaves Jared Leto as the Joker, Will Smith as Deadshot, Margot Robbie as Harley Quinn, Jai Courtney as Boomerang and Cara Delevigne as Enchantress , Viola Davis has been reportedly being cast as Amanda Waller. Tom Hardy will next be seen along side Charlize Theron in "Mad Max: Road Fury." "Suicide Squad is set to begin filming in April in Toronto and opens August 5, 2016. UPDATE: The Wrap is reporting that Jake Gyllenhaal is being looked at as a rplacement. Are you disappointed that Tom Hardy is leaving and is Jake Gyllenhaal is a good choice as a replacement? Let me know in the comment below. Thank God. I hated the last Batman movie! Mostly because Hardy imitated Sean Connery! It was awful! That's hilarious! Never though of that before. 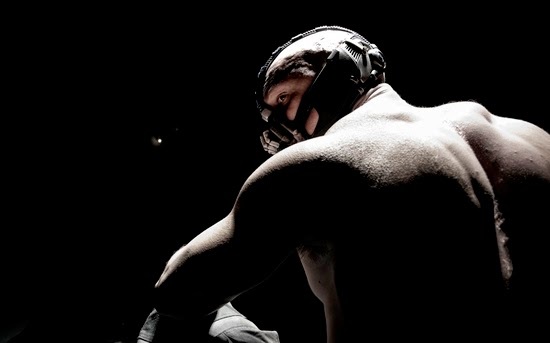 Although, I did like The Dark Knight Rises and I like Tom Hardy as an actor. However, I do like Gyllenhall too and think he is a good actor, but I am not sold on him yet.